Whose brainchild was Xoxoday? How did the name come about? Xoxoday was started as a gifting company Giftxoxo.com in 2012. While researching about the gifting market, two of the early founders of the company Sumit Khandelwal and Manoj Agarwal found a concept of ‘Experiences as Gifts’. It was in trend in US and European markets at that time. Companies like Smartbox (in Europe) and UniqGift (in Singapore) were doing quite well in those countries. Back then, there were no matured player in India and hence we started ‘Experiences as Gifts’ business. We, four founders jointly pitched this idea in the market and raised funds from Kshatriya Ventures in 2013. Xoxoday was a name given by one of the founder’s wife Suruchi Jain. She happens to be a doctor by profession. How did it evolve from Giftxoxo to Xoxoday? Xoxoday’s core product happens to be booking of ‘Experiences, Activities & Things-to-do” in the city. The experiences can be gifted as well as self-consumed. You may consume it when you want to explore a new city or when you want to enjoy your own city during weekends or special occasions. Due to word ‘Gift’ in Giftxoxo, people treated us as a gifting company. However we were much more than a gifting company and people knew us with the name Xoxo. Hence we deleted the prefix “Gift” and added a suffix ‘Day’ to Xoxo to make it Xoxoday. What is Mahindra group’s stake in this venture? Are they giving any technical expertise? Mahindra group’s investment was a strategic round. One of the business entities of Mahindra Group – Club Mahindra operates in the hospitality industry. Club Mahindra has 200,000+ members. Experiences can be consumed by Club Mahindra members during their holidays as well as when they want to enjoy their own city during weekends. Mahindra group has a 12 per cent stake in Xoxoday. What benefits can accrue to hotels from Xoxoday? Tell us about the Treebo Hotels case study. Whenever you stay in a hotel, you often visit the hotel’s travel desk to enquire about things to do in the city. You ask the travel desk manager for the prices too. You may feel the prices he is quoting is either very high or the information he is sharing is incomplete. Upon survey it’s been found that, out of 100 people who check into the hotel, 60 people go to the travel desk and only 11 gets converted (buys from travel desk). This is a major missed opportunity for hotels and also a cause for dissatisfaction among their guests. Xoxoday for Hotels is a new hotel-tech product built by Xoxoday. It’s a SaaS based product for hotels to generate revenue from selling ‘Local Experiences, Activities & Things-to-do’ to its resident guests. Here as soon as the guest reaches the travel desk, the travel desk manager shows several options on a digital screen along with real photos, content, reviews and real-time access to book it. This builds confidence among the guests and purchase decision happens unbiased. Xoxoday for Hotels also lets hotels to build a white-labeled website with transparent backend about the commissions earned on each booking. The commissions are shared between Xoxoday and hotels based on the package a hotel buys. Hotels may even #Host an experience from inside their own hotels or other experience partners they might have. The same can be selectively visible or to the world. Treebo has been a strategic partner of Xoxoday. Both are new age companies and see a natural synergy in business. A resident guest at Treebo is educated about the ‘Local Experiences, Activities & Things-to-do’ of the city. It happens when a guest books a Treebo hotel, before the check-in day, at the hotel’s reception and in his room. This allows the guest to learn about the city well and he can book it using QR codes in the communications. Xoxoday has created a white-labeled web link treebo.xoxoday.com which is accessible to all the guests. Apart from Treebo Hotels, which other hotels is Xoxoday planning to work with? Any hotel which intends to create value for its resident guests can opt for Xoxoday for Hotels. It’s a tech partner for its own guests, its travel desk managers and the hotel. How do you curate the local experiences/activities? Xoxoday lets #Hosts to self-host an experience. It allows them to manage their bookings, its inventory, its pictures, its content, its pricing and its FAQs. These experiences go through a content hygiene check, host quality check, social presence check, after which it gets listed on Xoxoday. Xoxoday also sends a feedback form to guests after every booking, which keeps adding into the experience’s description. Some of the experiences which are not convincing have been shot in a video. Experiences which receive multiple bad reviews are removed from Xoxoday. When you’re travelling to a city to explore. When you want to explore your own city during weekends or celebrate special occasions. Experience APIs for travel agents and other travel companies. The overall market size of India pegs to be more than US$ 10 billion. Your insights on millennial travel? Millennials usually like to consume and move on. They don’t want to store things. They don’t want usual things. They don’t want to travel to usual destinations. They don’t want to sit back at home over weekends. They want to explore new things. They want to do something which is unusual, offbeat and different. Hence the future trends are in Xoxoday’s favour! 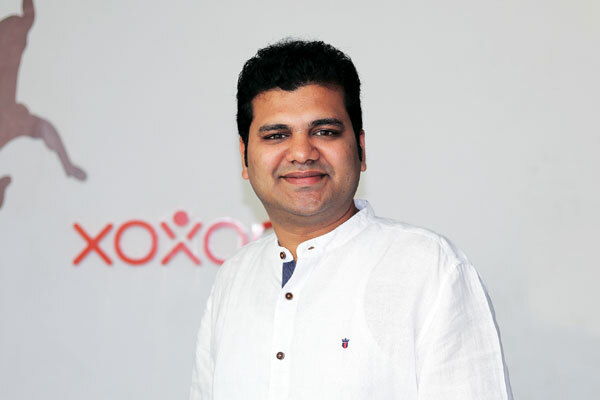 Is the industry in India ready for a platform like Xoxoday? The industry is picking up and has started showing positive trends. Xoxoday is currently serving the market via B2B2C channels. This reduces the cost of education and cost of sales to reach out to consumers. Xoxoday will pickup B2C channel i.e. reaching out to consumers directly once the market is ready. Book travel arrangements to reach the city like bus, train, flight, etc. Book hotel when you reach the city. Book experiences and last mile activities to explore the city. The first two aspects of travel are solved by OTAs like MakeMyTrip, Goibibo, etc. However the problem no. 3 is still not solved. We get a lot of information over web, but we cannot book it. Xoxoday’s goal is to answer the third problem and reach out to consumers via B2B2C and B2C channels. Xoxoday aims to built a community of 200,000+ hosts selling their experiences via its platform by 2020.